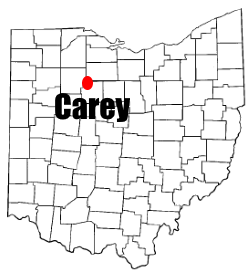 The village of Carey, Ohio (pop. approx. 3500) is about 60 miles south east of Toledo. Known for Limestone quarries and The Basilica and National Shrine of Our Lady of Consolation, the town is your average small town. It is unusual for a Mayor of a small town to make waves and in this case trying to defend the US Constitution caused such a fuss that the mayor decided to resign rather than argue or deal with threats from those in town looking to institute Christian style Sharia law. This entry was posted in Politics, Progressive, Religion and tagged 1st Amendment, Carey Ohio, church and state, Emily Beckley, Lord's prayer, Mayor Armand Getz, Pledge of Allegiance on March 23, 2017 by Doug. Why Do Progressives Make Life So Hard? The 2016 Presidential election is in the books and we will be getting a President progressives didn’t want, who will be working with a Congress controlled by people who don’t support progressive issues. For some reason the progressive groups I follow seem to have a new energy and a surge of donations to ‘fight the power’. I can’t help myself but wonder where was this energy before election day? 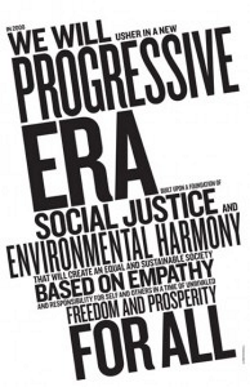 Why do progressives seem to take the hard road? Do we like being a victim when we don’t need to be? This entry was posted in Politics, Progressive and tagged 2016 US Presidential Election, anti-choice, church and state, Donald Trump, Mike Pence, progressive, racism, white nationalism on November 22, 2016 by Doug. 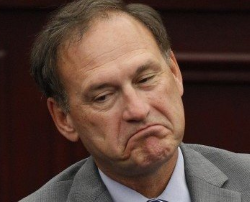 Justice Samuel Alito spent 15 pages to dissent against a US Supreme Court decision NOT to hear a case over birth control and pharmacies. In his waste of ‘ink’, he claims that only religious people are ‘moral’ and ‘ethical’. This entry was posted in Politics, Progressive, Religion and tagged birth control, church and state, Justice Samuel Alito, medication, pharmacy, religious freedom, US Supreme Court, Washington on June 28, 2016 by Doug. Reddit user Dargo200 compiled an image showing specific examples of bad things done in the name of religion in 2015. From Female Genital Mutilation to beating someone to death because people thought they were eating beef, there were a lot of bad things done last year. This just shows that the typical western liberal religious view of religion is the exception and not the rule. This entry was posted in Culture, Religion and tagged church and state, religious bigotry, religious intolerance, religious privilege, religious violence on January 5, 2016 by Doug. Back in 2013, when the Ohio legislature was considering a budget bill that contained some onerous abortion restrictions, reproductive rights advocates urged supporters to ask the Governor to line-item veto the restrictions. At the time he seemed he hadn’t decided what he would do but in the end he let the restrictions stand. Administration emails, recently obtained by the AP, show the Governor’s staff helped write the restrictions. The Governor lied about being neutral. 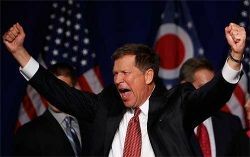 This entry was posted in Politics, Progressive and tagged 2016 US Presidential Election, anti-abortion, church and state, Governor John Kasich, Ohio, women's rights on November 19, 2015 by Doug.